The South African Police Service in Lompopo are still hitting hard on criminal syndicates in all the Clusters including in the Ports of Entry. * 750 blasting cartridge explosives. * Three (03) rolls of explosive cables. * The truck was also confiscated. 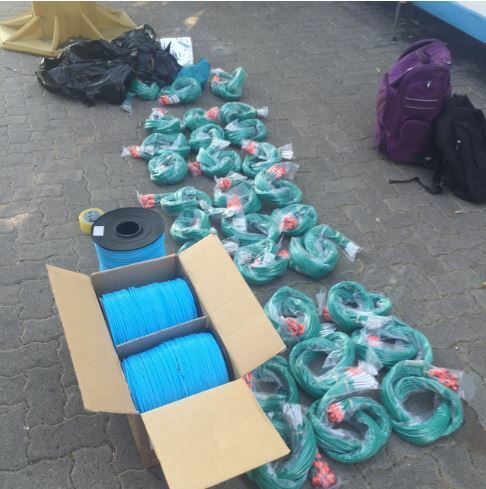 Subsequent to these recoveries, three (03) suspects aged between 36 and 45 were arrested for possession of explosives. The origin and destination of these explosives are still being determined. The suspects will appear before the Musina Magistrate Court soon. The Saps Provincial Commissioner Lieutenant General Nneke Ledwaba has welcomed this great achievement by these joint operation on both hands and he encouraged all members of the Police especially the operational, to double their efforts in dealing with this crime category head-on which remain a thorn within the business communities.